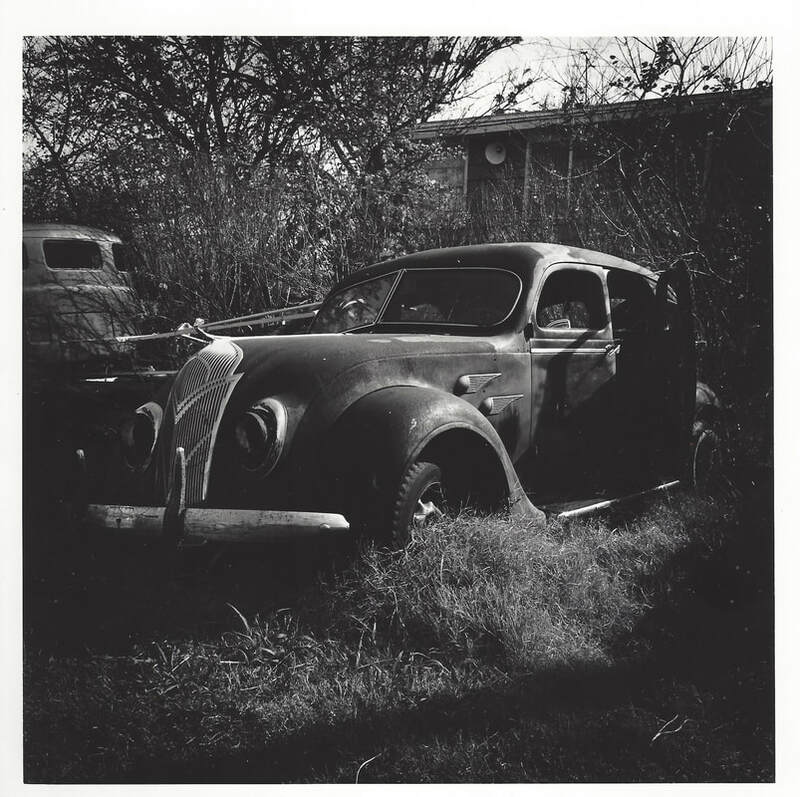 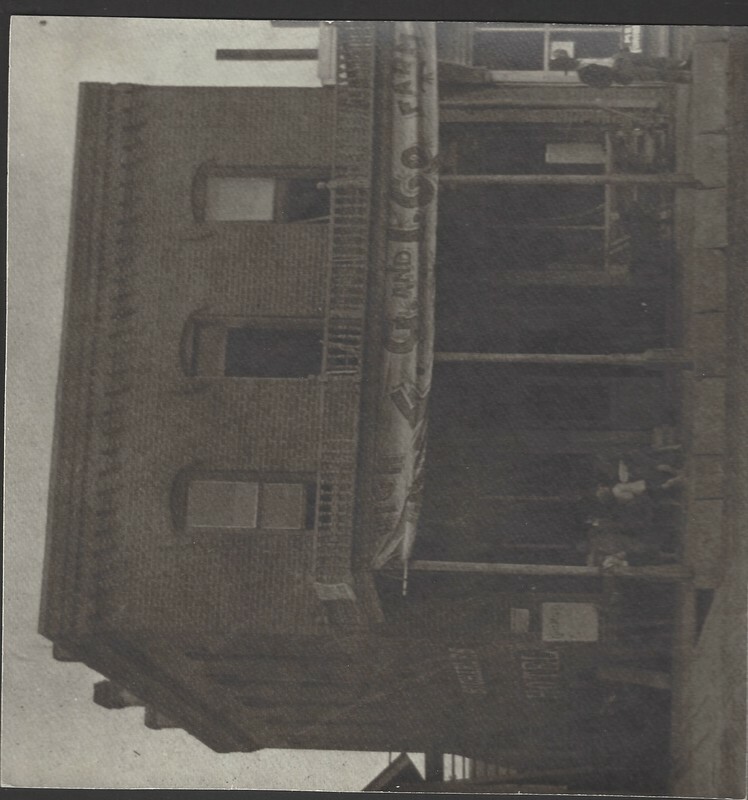 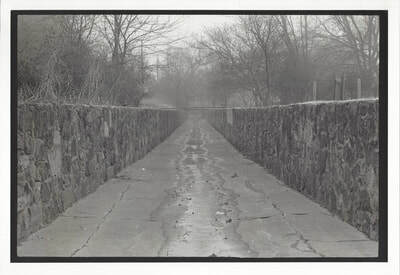 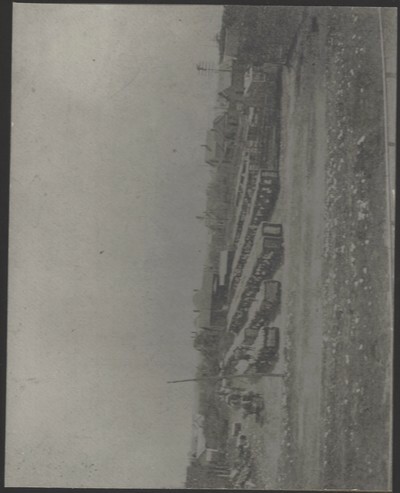 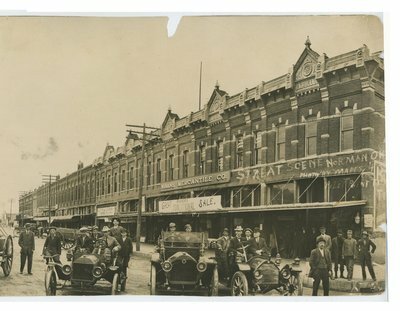 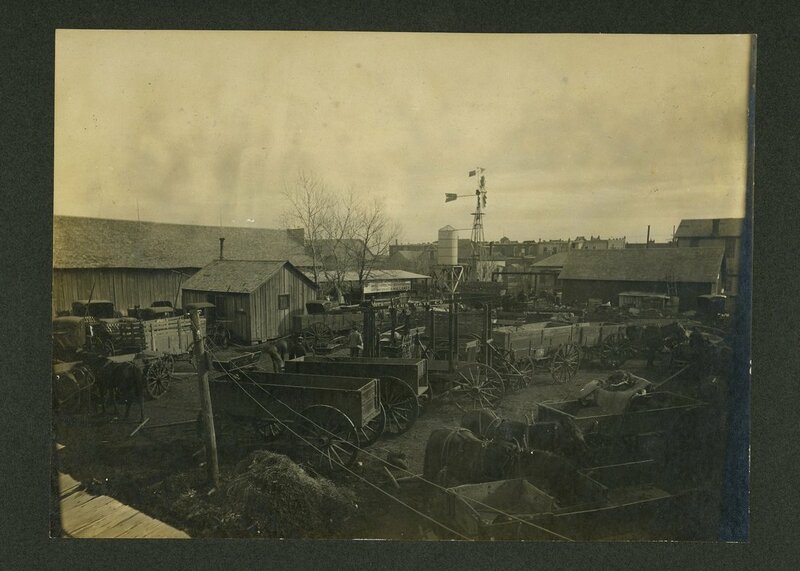 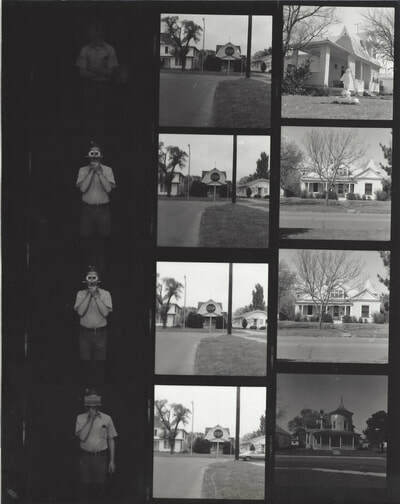 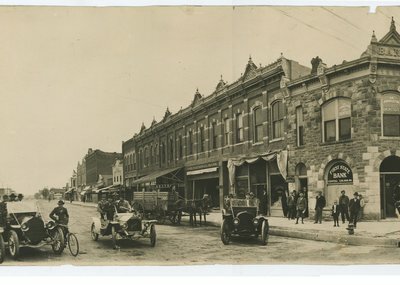 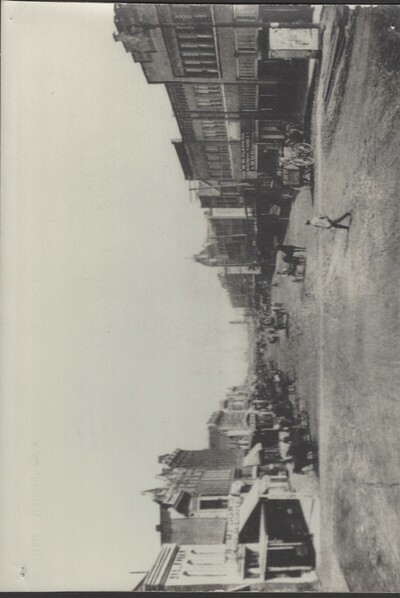 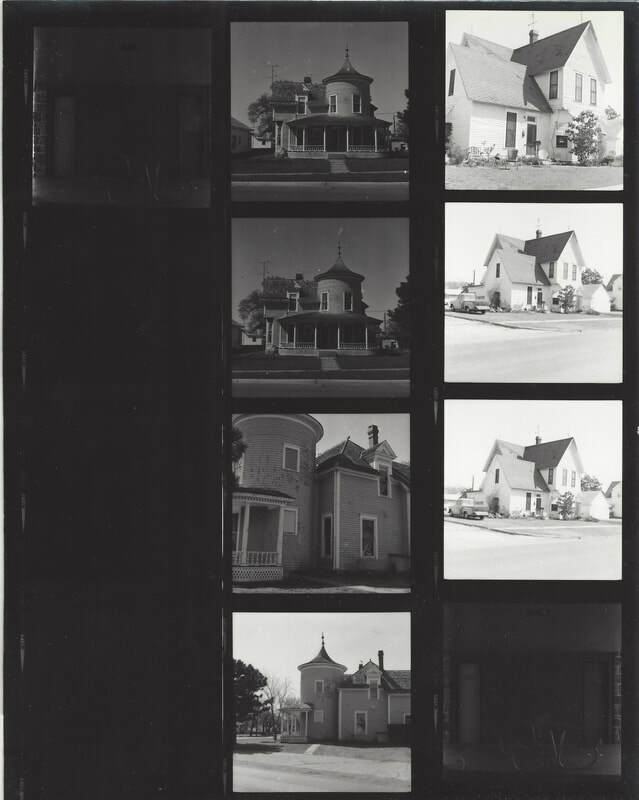 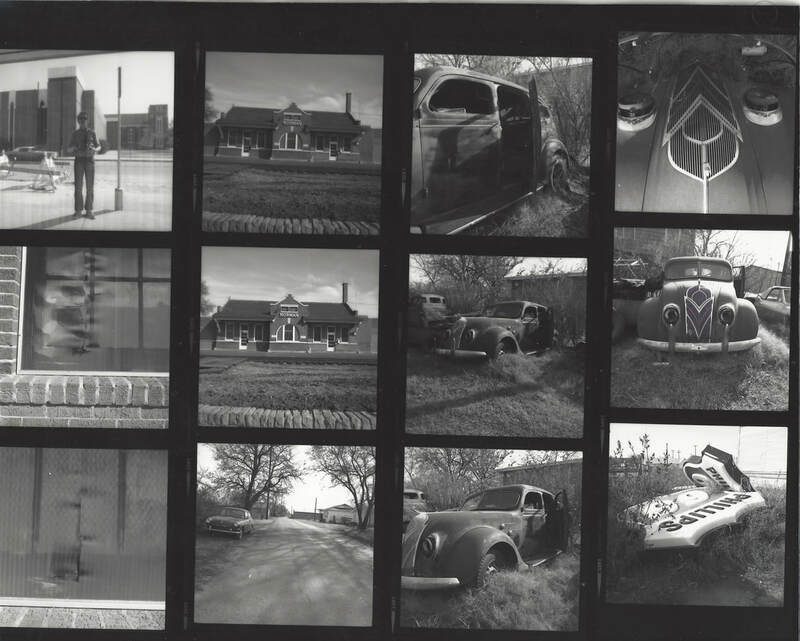 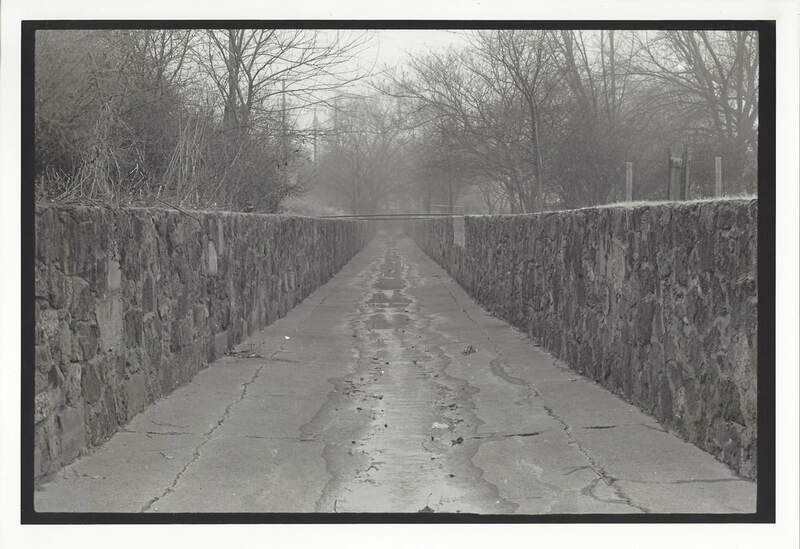 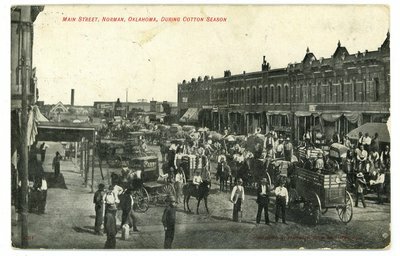 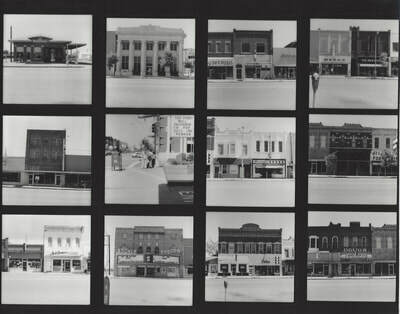 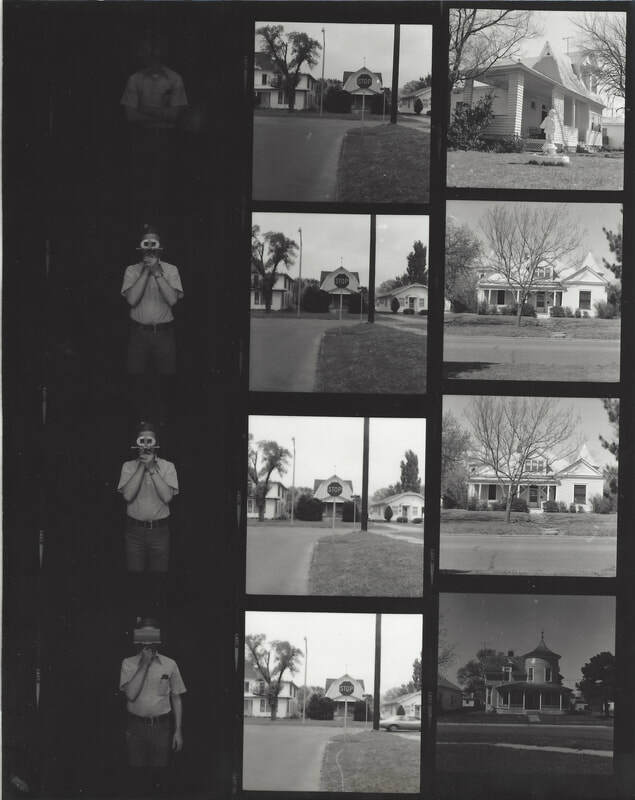 Photographs below include Main Street in downtown Norman in the late nineteenth and early twentieth century. 83.534.2 P-138 Photo-places-Business-Hardware store: The Maguire store- 113-115 West Main Street, " May 1889 to mid 1899; part of this hardware store included a tin shop whick ahndled ornamental cornices; many of the tin cornices on buildings in a 50 mile radius of Norman were supplied by J.D. 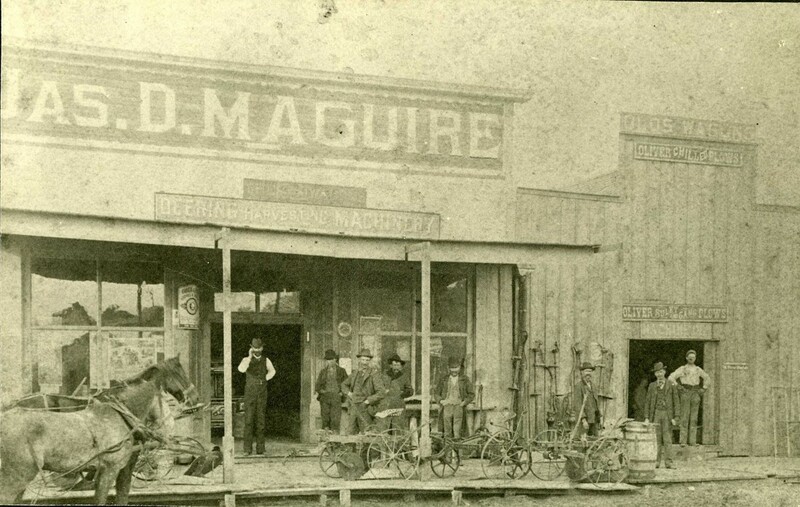 Maguire"; Pioneers of CC 1889-1925; next door: Oliver Sulky and Plows. 7 1/2" x 9 1/2". 83.521.9a P-151a Photo-place-buisiness-Drugstore Interior: black and white with gray mat; W.T. Mayfield's Drugstore, 205 E Main, Norman, OK; Known as pioneer Drugstore. 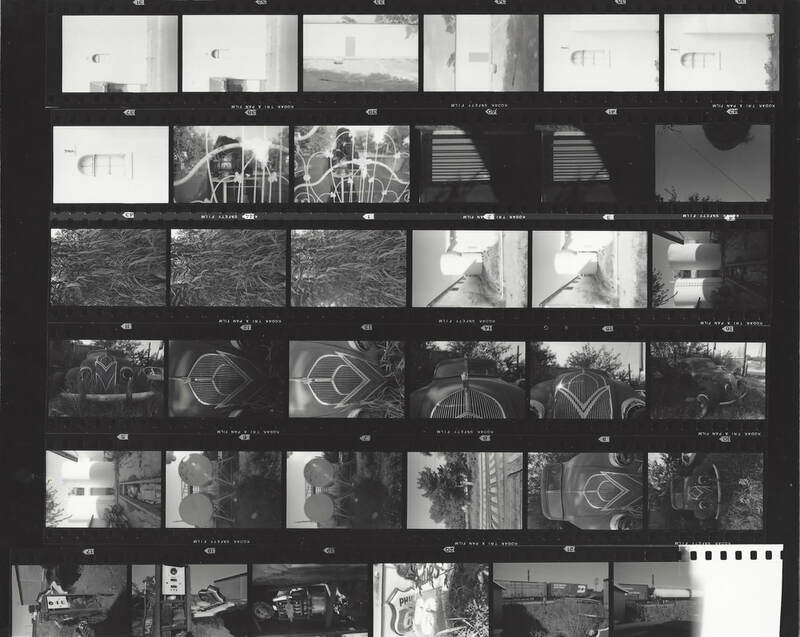 6 1/2" x 4 1/2". 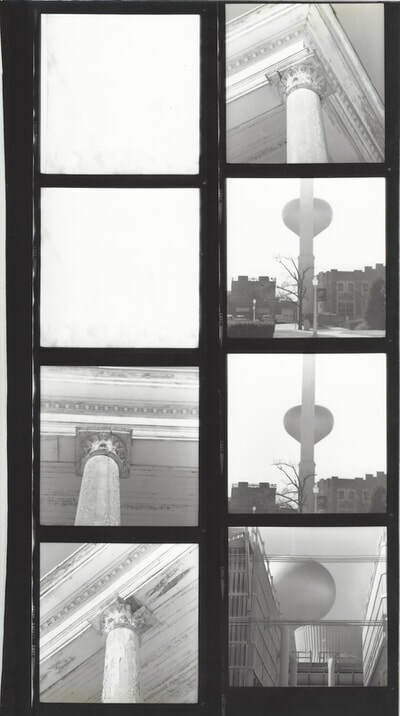 83.521.9b P-151b Photo-place-buisiness-Drugstore Interior: black and white with gray mat; W.T. 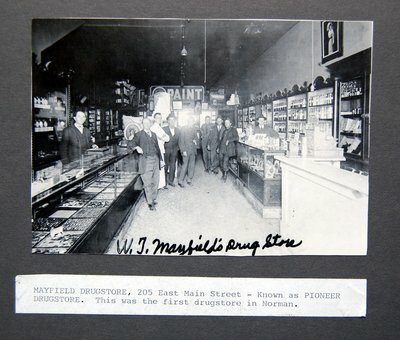 Mayfield's Drugstore, 205 E Main, Norman, OK; Known as pioneer Drugstore. 6 1/2" x 4 1/2". 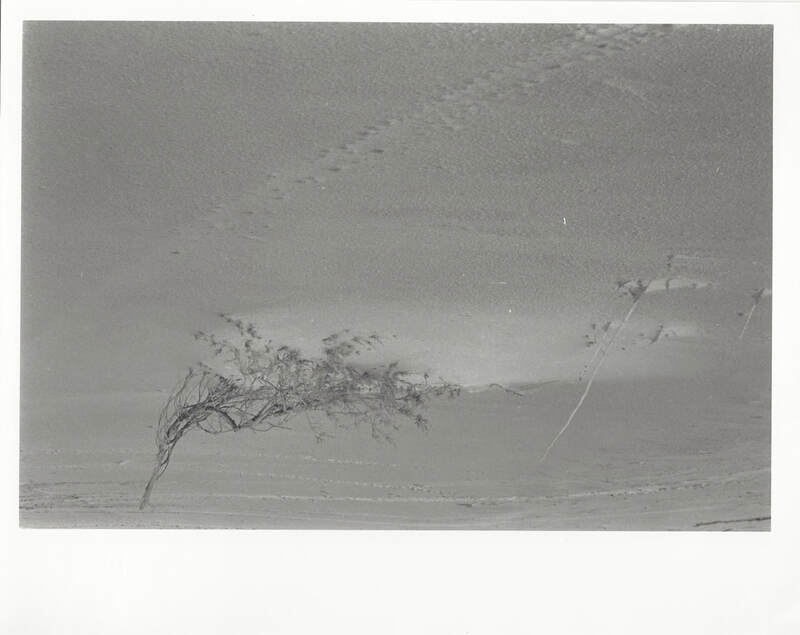 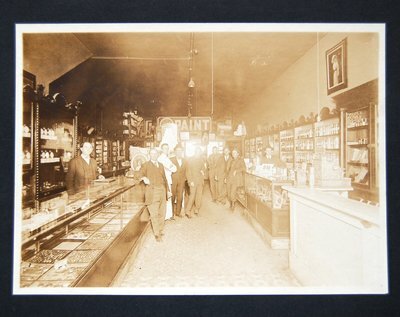 83.521.9c P-151c Photo-place-buisiness-Drugstore Interior: black and white with gray mat; W.T. 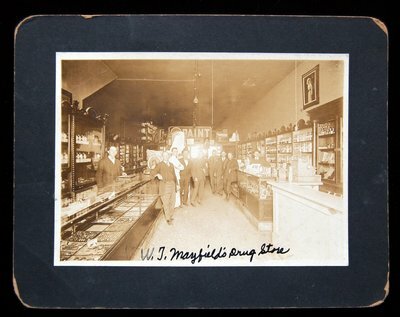 Mayfield's Drugstore, 205 E Main, Norman, OK; Known as pioneer Drugstore. 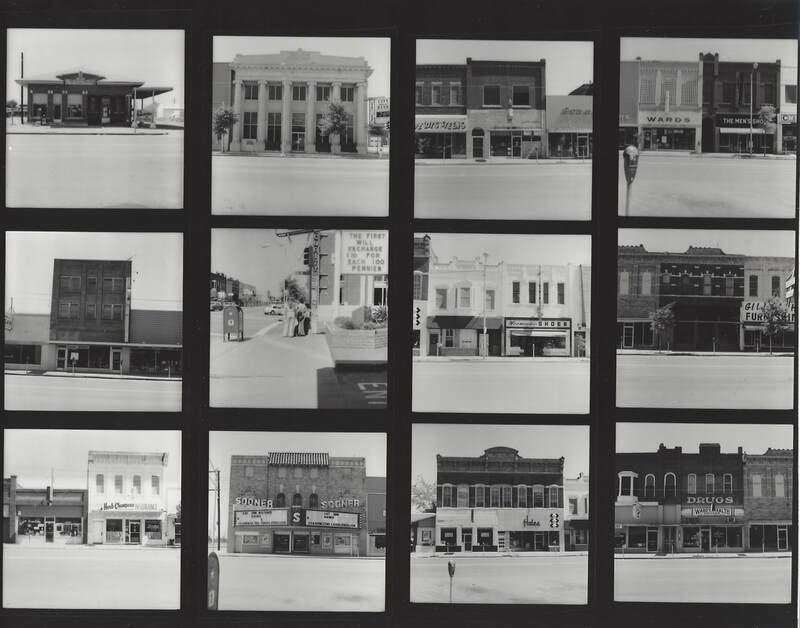 6 1/2" x 4 1/2". 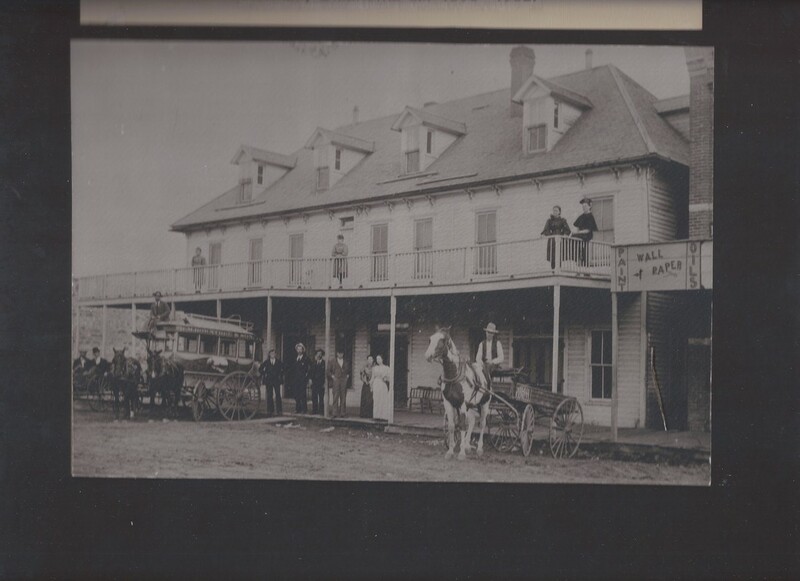 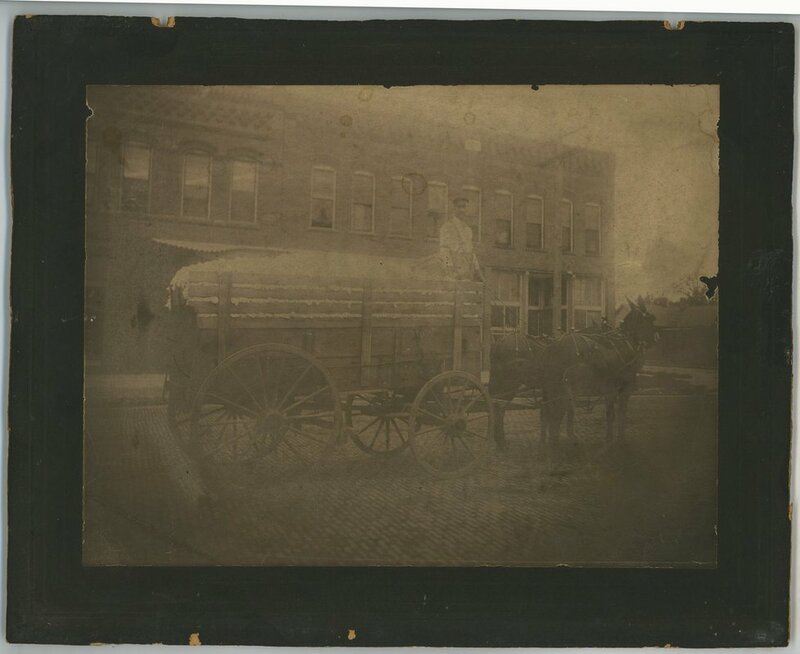 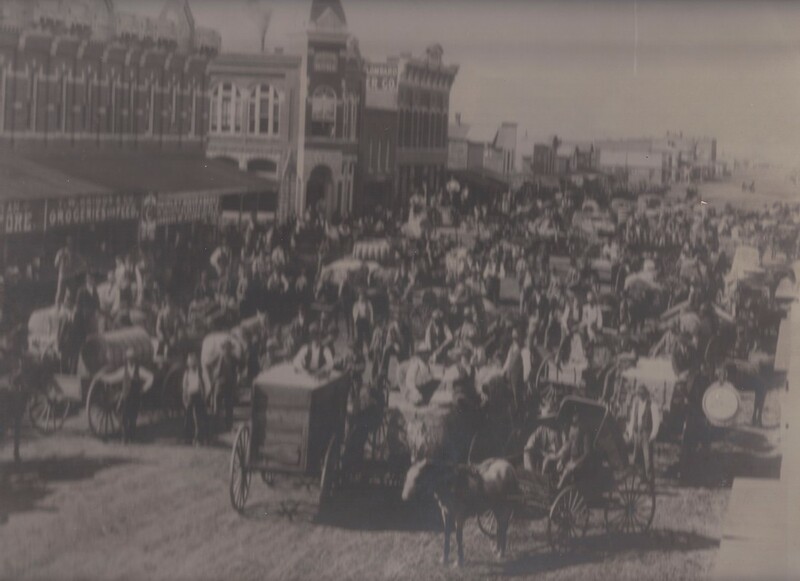 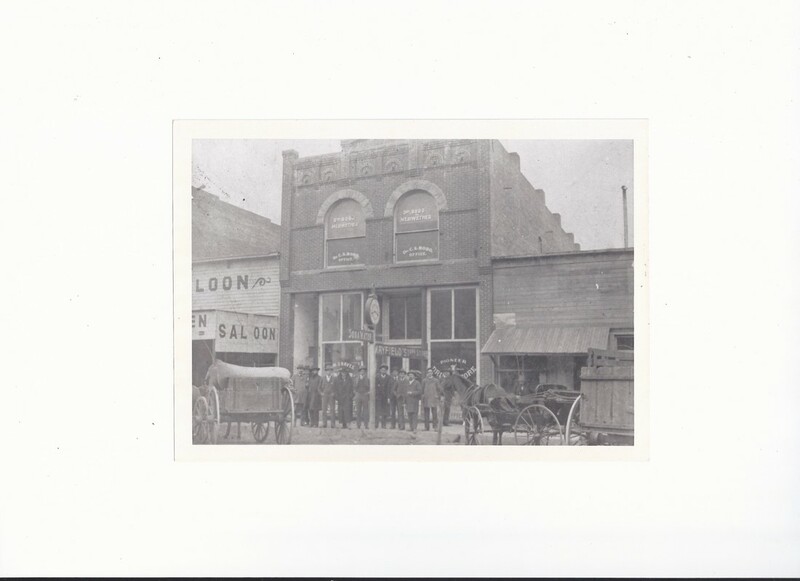 83.565.1 P-175 photo-places-business-hotel: Agnes Hotel c. 1898-1902 located at about 110 West Main St., Norman OK. Men and women standing in front along with wagons and stage coach. Sepia, 9 1/4" x 6 1/2". 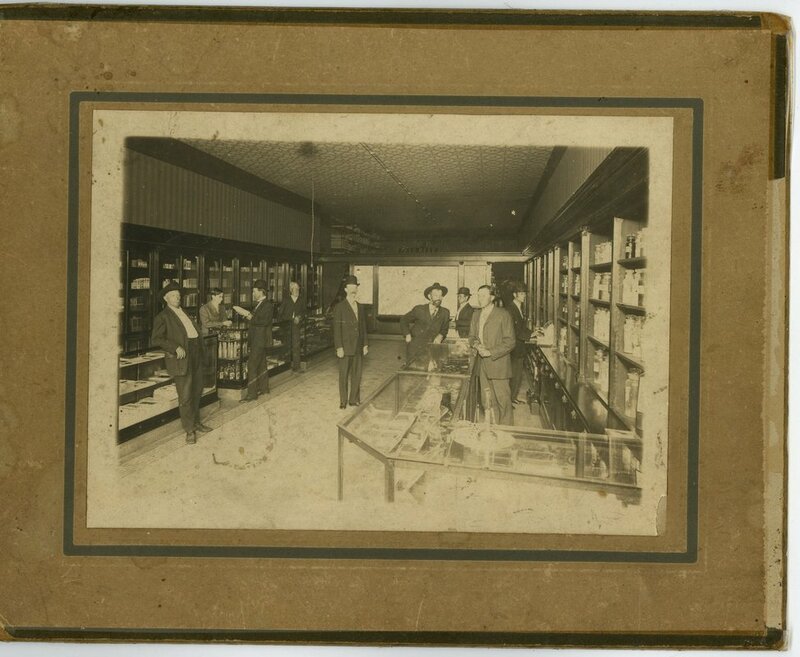 86.30.1; P-297	139 East Main St, Drugstore, Fred Reed's, interior; there are eight men pictured. 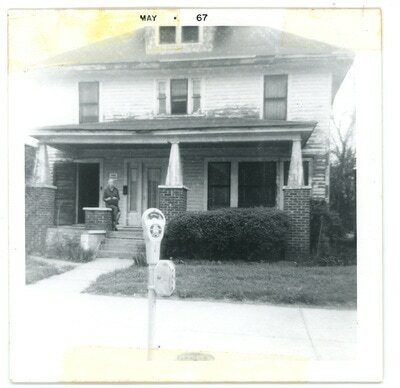 On back;" Located at no. 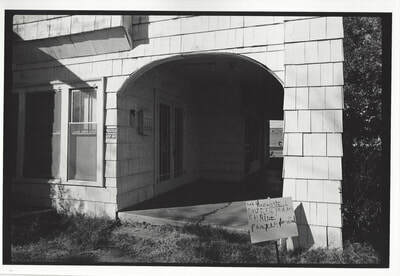 139 east main st. Mr. reed has estabblished a reputation for reliability, as well as gianing the estem and respect of the entire community. 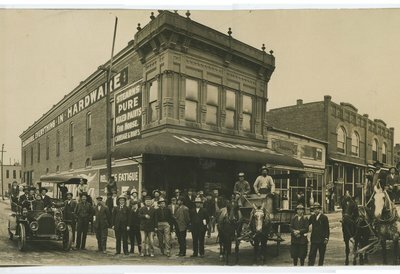 Norman democrate, Friday, May 22, 1908. 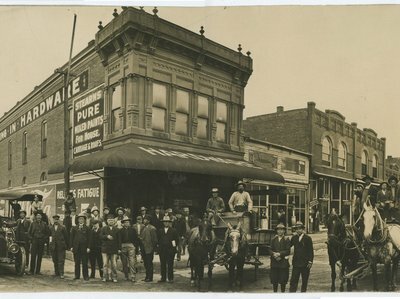 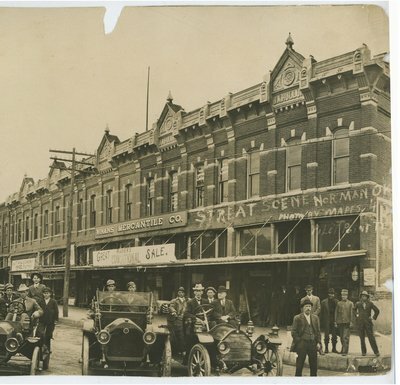 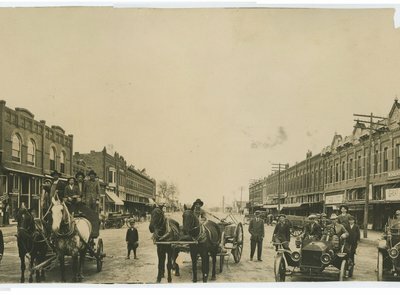 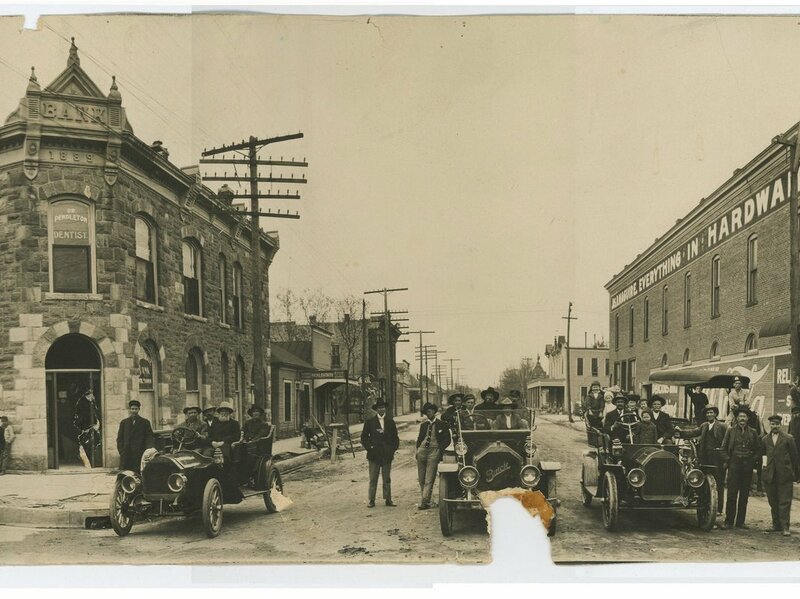 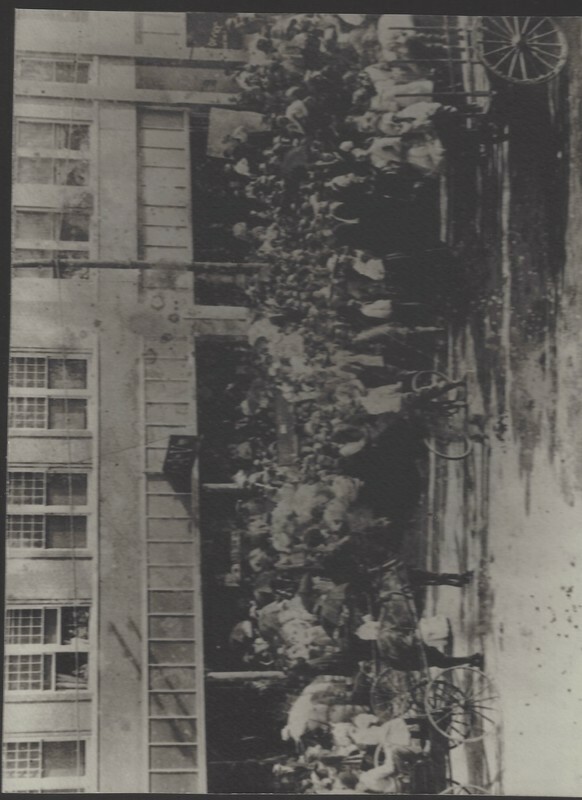 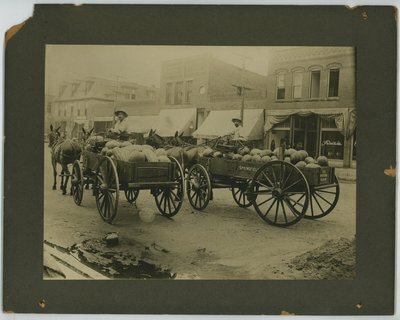 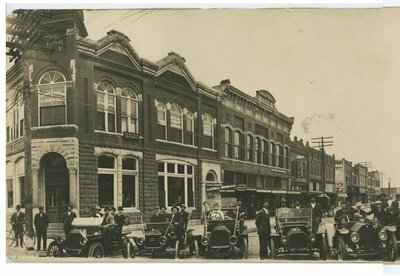 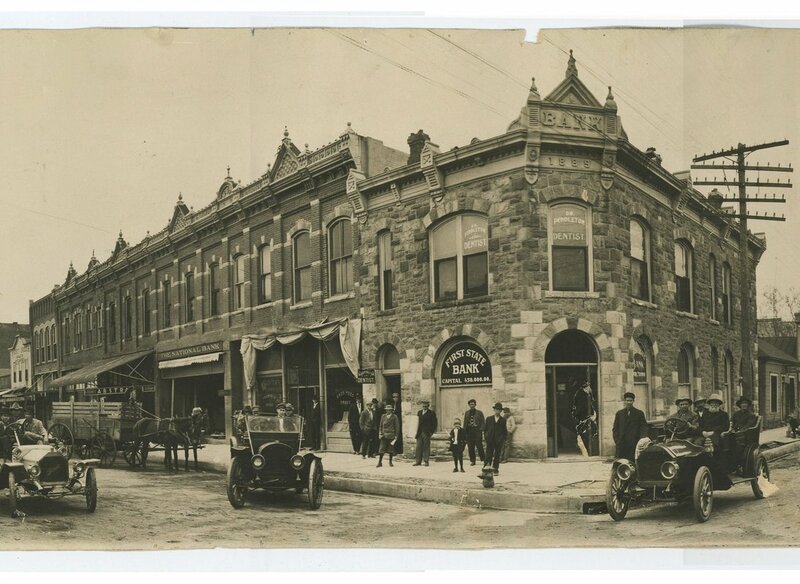 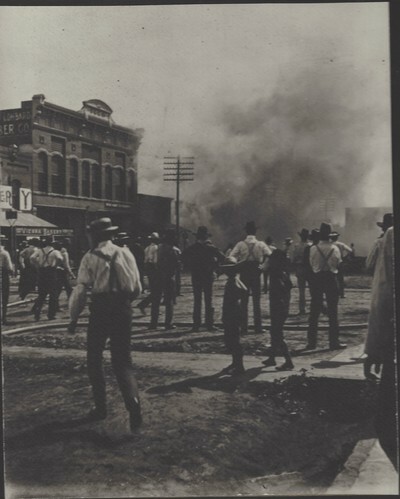 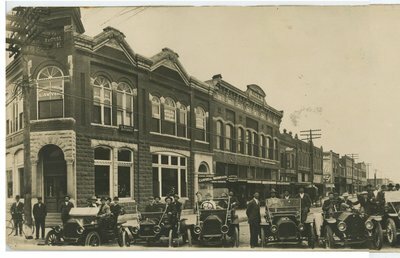 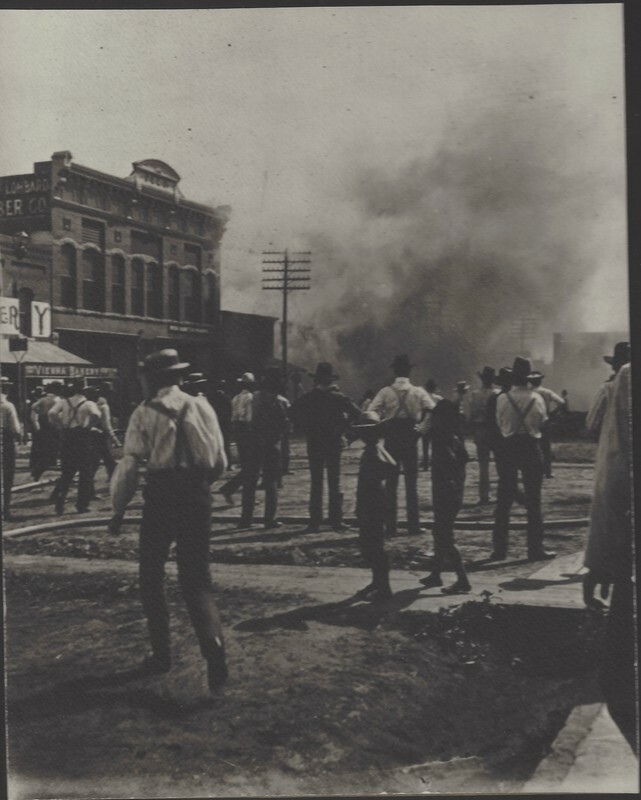 86.34.1 (b-d); P-302	Store, Mayfield Drug Store, 205 E. Main, exterior; down town Norman; Pictured: group of men all in hats and suits; two buggies and a hours. 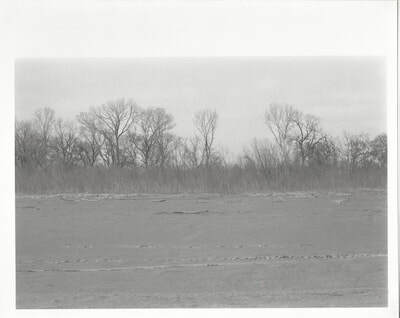 There is a clock post in the center of the picture.